Gallamine Quick Reference: (galla-mean) Non-depolarising muscle relaxant, e.g. flaxedil. Advanced Reference: Rarely used now, causes tachycardia, not used in obstetrics as it readily crosses the placenta and not suitable for renal failure patients as it is almost entirely excreted by the kidneys. Gall bladder Quick Reference: Small bag attached to the underside of the liver. Advanced Reference: Pear shaped with muscular walls, stores and concentrates bile (gall) then discharges it to the duodenum via the cystic duct. Gallipot Quick Reference: A small pot for holding lotions, etc. during surgery. Advanced Reference: Often used in conjunction with kidney dishes (receivers). Used to hold prepping solutions or sutures and small items that could become misplaced during surgery. Gallstones: Quick Reference: Stones found in the gall bladder. Advanced Reference: Found generally in the biliary tract. There are three types: cholesterol stones, bile pigment stones and mixed stones of all plus calcium. Galvonometer Quick Reference: Instrument for detecting and measuring small electric currents. Advanced Reference: Works on the principle of an interaction between an electric current and a magnetic field. Gamma globulin Quick Reference: Type of blood protein. Advanced Reference: They are antibodies responsible for immunity to specific infections. Gamma rays Quick Reference: Ionising radiation. Electromagnetic rays. Advanced Reference: This form of ionising radiation has rays of shorter wavelength and greater penetration than X-rays. Used in both radiotherapy and sterilisation of medical products and devices. Ganglion Quick Reference: Collection of nerve cells or cystic swelling. Advanced Reference: Refers to a network of nerves outside of the central nervous system (CNS). Alternatively, a painless cyst-like swelling found in tendon sheath or joint capsule, often at the wrist. Gangrene Quick Reference: (gan-green) Death of tissue. Advanced Reference: Usually due to inadequate blood supply because of arterial disease or injury which is commonly referred to as dry gangrene, whereas wet gangrene is more often due to bacterial infection. Garamycin Quick Reference: (gara-my-sin) Type of antibiotic. Advanced Reference: Used primarily in the form of drops to treat bacterial infections of the ear and eye. Gas laws Quick Reference: Refers to those laws and principles related to patient physiology and functioning of related equipment. Advanced Reference: Mainly the following: (i) Boyle's law states that at a constant temperature, the volume of mass of gas is inversely proportional to the pressure. (ii) Dalton's law states that the pressure exerted by a fixed amount of a gas in a mixture equals the pressure it would exert if alone; thus the pressure exerted by a mixture of gases equals the sum of the partial pressures exerted by each gas. (iii) Charle's law states that the coefficient of expansion of any gas at a constant pressure is 1/273. (iv) Henry's law states that the amount of gas dissolved in a solvent is proportional to its partial pressure above the solvent, at constant temperature. Gastrectomy Quick Reference: Partial or total removal of the stomach. Advanced Reference: Partial gastrectomy involves excision of various parts and portions depending on site and type of lesion or spread of disease. The common procedures are Billroth types 1 and 2 and Polya. Gastric Quick Reference: Pertaining to the stomach. Advanced Reference: Used in relation to the stomach, i.e. gastric juice, gastric ulcer, etc. V Gastrin Quick Reference: Hormone released into the blood by the stomach. g Advanced Reference: Released by the lower end of the stomach in o response to the presence of protein foods and stimulates acid release £ from the upper stomach. E Gastro-enteritis Quick Reference: Inflammation of the stomach and g. intestine. £ poisoning). Characterised by vomiting, pain and diarrhoea. S. Gastro-enterostomy Quick Reference: Surgical opening between the stomach and small intestine. Advanced Reference: Usually performed because of obstruction of the pylorus. Gastrojejunostomy Quick Reference: Opening made between the stomach and upper loop of jejunum. Advanced Reference: Performed usually for pyloric obstruction so that food can pass directly from the stomach into the upper part of the small intestine. Gastroduodenostomy is the surgical creation of an anastomosis between the stomach and the duodenum. Gastroscope Quick Reference: Illuminated tube passed down the esophagus for examination. Advanced Reference: A flexible instrument as opposed to a rigid oesophagoscope. Gastrostomy Quick Reference: Opening between the stomach and the overlying abdominal wall. Advanced Reference: Used when the oesophagus is blocked or the patient is unable to swallow. A self-retaining feeding tube is introduced into the opening. Gelatin Quick Reference: Colourless, transparent substance made from animal collagen. Advanced Reference: Used mostly in medicine for drug capsules or suppositories. Gelofucin Quick Reference: (jelo-fusin) Intravenous (IV) plasma expander. Advanced Reference: Form of gelatin from animal protein. Used as an infusion to expand the overall blood volume. 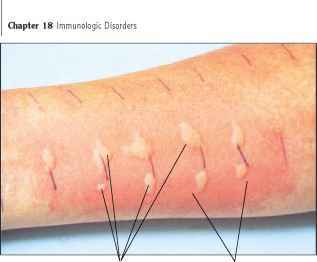 Can produce allergic reactions. Gene Quick Reference: (jean) A factor which controls the inheritance of a specific characteristic. Advanced Reference: One of the hereditary factors in the chromosome and helps to determine physical and mental makeup. Generic Quick Reference: The official name of a drug. Advanced Reference: This is opposed to the brand or proprietary name given by a particular manufacturer. Genital Quick Reference: Refers to the organs of reproduction. Gentamicin Quick Reference: A broad-spectrum antibiotic. Advanced Reference: Used to treat many forms of infection, namely urinary tract, meningitis, endocarditis, septicaemia. Administered by injection or topical route as not capable of being absorbed by the digestive system via oral tablet.